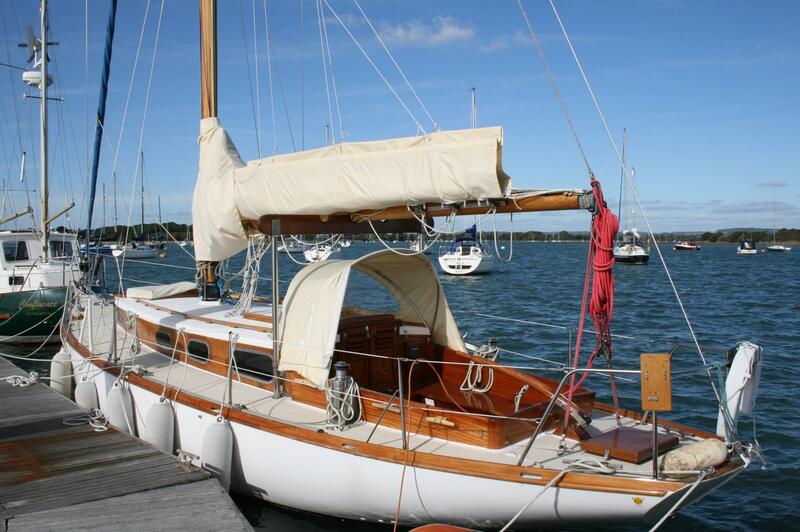 Classic, Iroko hulled long keeled, tiller steered cruising yacht - Ideal for sailing in "Classic" yacht regattas! ?Carrageen? 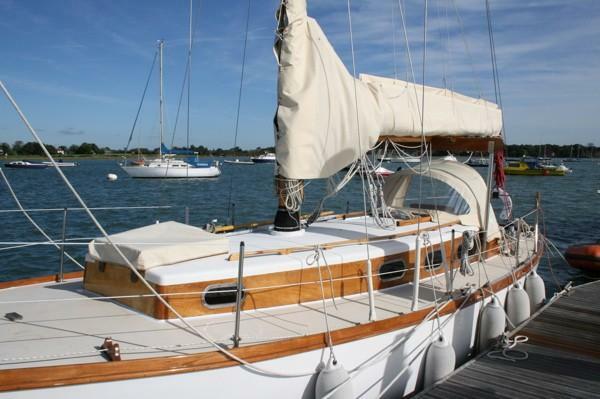 has been well mainained, new Nanni diesel in 2014, mast stripped & re-varnished 2015. Designed by Fran Maas and built in Breskens in 1961. 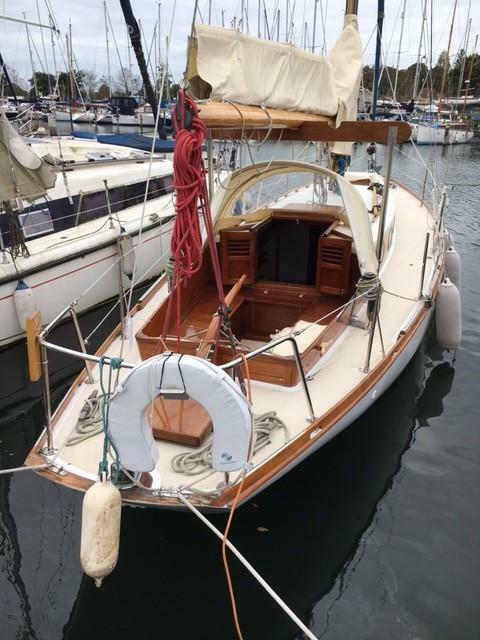 The hull is formed by a zinc sprayed steel frame with Iroko strip planking riveted to the frame, cascover sheathed and a bolt on ballast keel. Sheathed and painted ply decks and cabin top with varnished superstructure sides. Tiller steered to keel hung rudder with cut out for propellor. Varnished bulwark. 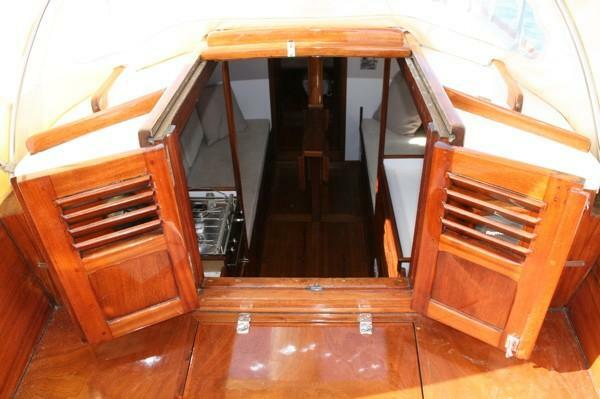 Beautifully varnished cockpit seating, backrests and companionway doors. Internal joinery in varnished teak with a white painted main bulkhead. Nanni 3 cylinder, 21hp diesel engine.Fresh water cooled with heat exchanger & wet exhaust. Electric start. Reversing reduction gearbox, shaft drive with single lever control. Fixed propellor. Engine, gearbox, shaft and propellor fitted in 2014. Approx 150 hours run. 12 volt system – 112v 110ah Domestic batteries and 1 x 110ah engine start battery, charged by engine alternator. 12v lighting throughout. Part rewire including new Switch panel and ancillary components. 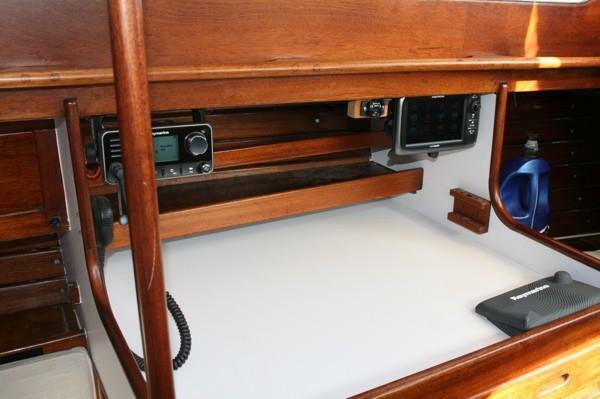 240v system – Shorepower lead to RCCB, battery charger and 4 x 220v outlets. 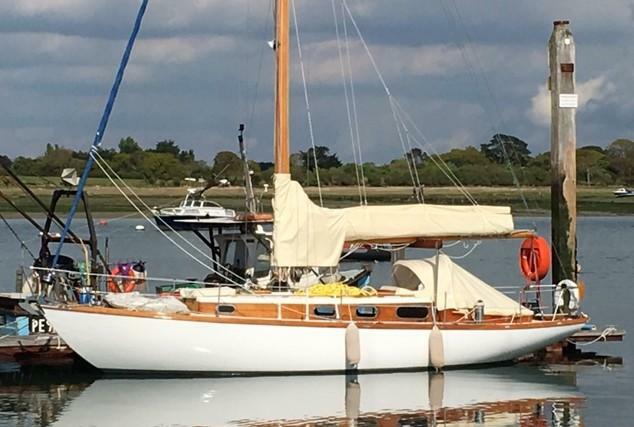 Keel stepped hollow spruce spars (refurbished with new standing rigging and stainless steel mast fittings in 2015). Slab reefed boom with Lazybag and Lazyjacks. 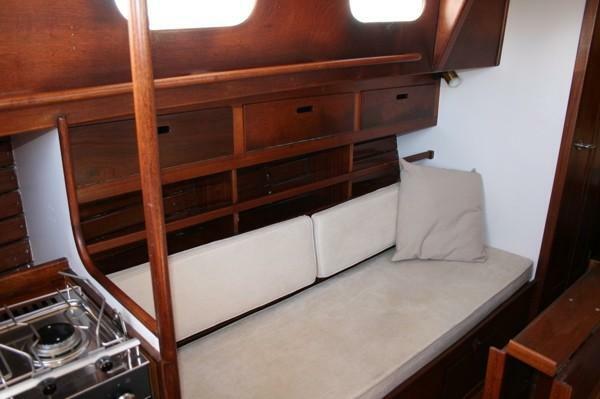 5 Berths in an open plan layout including quarter/pilot berth. 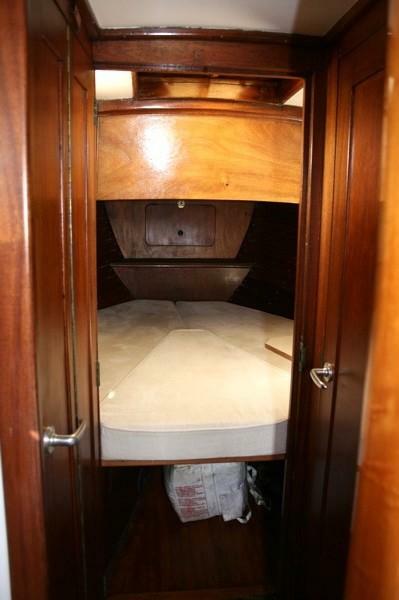 From forward:- 2 berth forward cabin with drawers under berth. 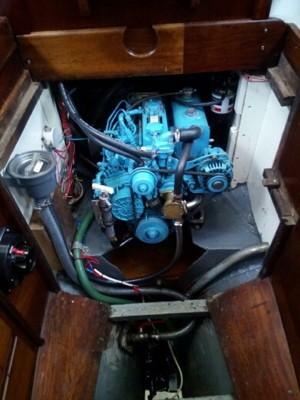 Heads compartment to starboard with manual flushing sea toilet. 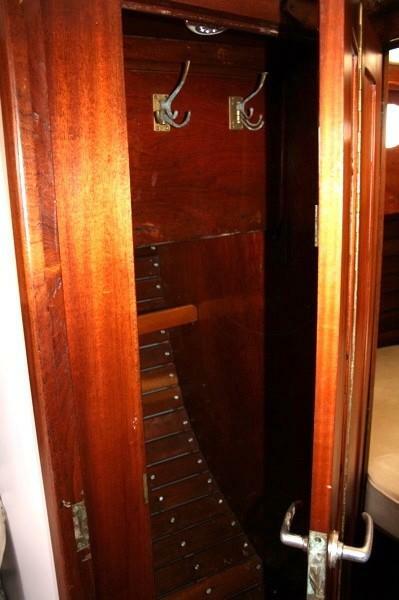 Hanging locker to port. 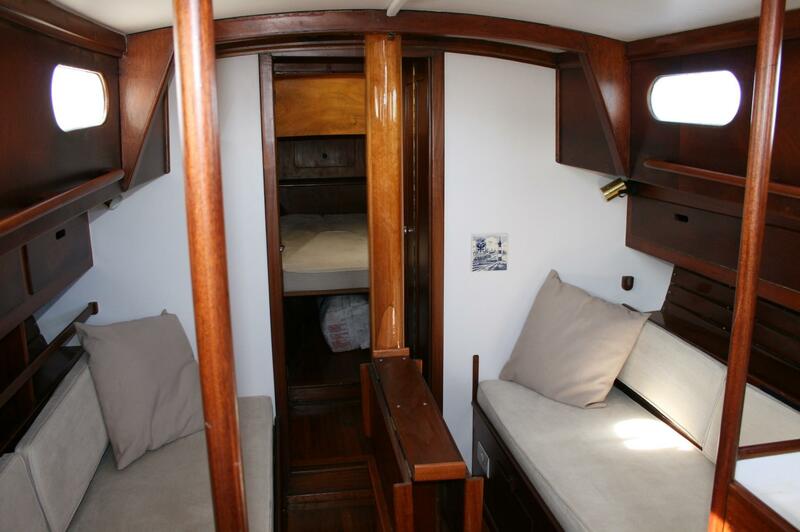 Saloon with settee berth to port and starboard. Folding saloon table. 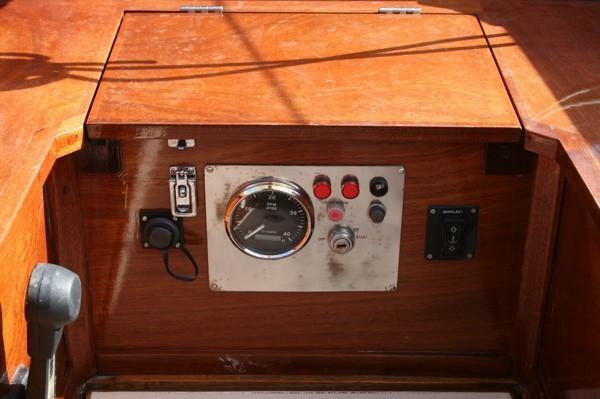 Nav station to starboard with electric distribution panel and instruments with quarterberth aft. 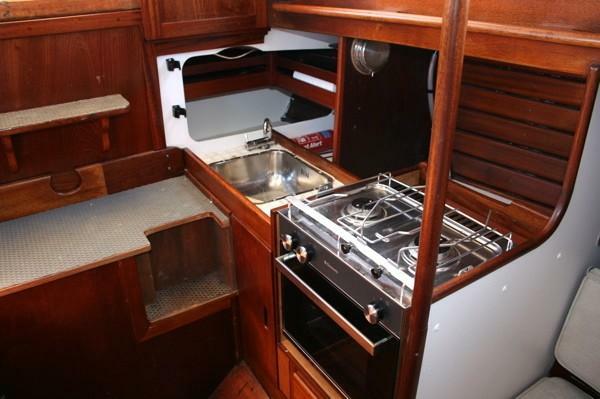 Galley to port with cooker, sink and stowage lockers. Companionway steps up to cockpit. S/steel pulpit, stanchions and plastic covered guard wires. Mooring cleats, new anchor roller and stemhead fitting, Lewmar electric anchor windlass. tiller steering (new tiller in 2015), mast boom support bracket. 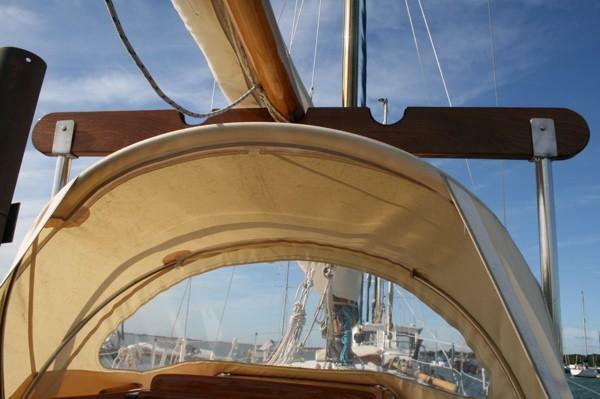 Fenders, mooring warps, anchor, chain and warp. Life buoy. 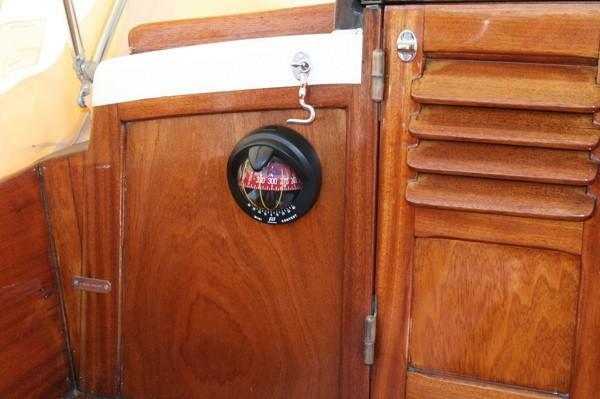 Electric and manual bilge pumps. Liferaft (requires service). Dinghy and 2.5hp Honda outboard. 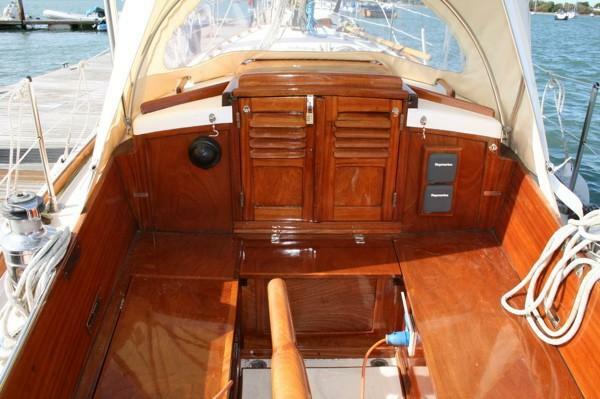 Frans Maas designed and sturdily built the Fortunella 34 is a tough, good looking and seaworthy boat. “Carrageen” is in really nice cosmetic condition and benefits from a knowledgeable owner who has thoughtfully updated her. A really good looking boat ready to go.